Ships today if you order in the next 12 hours 22 minutes. Feeling a little bit creaky? Is getting around a bit harder than it should be? Your body may benefit from the support of nature's richest source of an important Omega-6 fatty acid. Gamma linolenic acid is a plant-based substance that has been shown to benefit those dealing with joint issues and nerve pain. 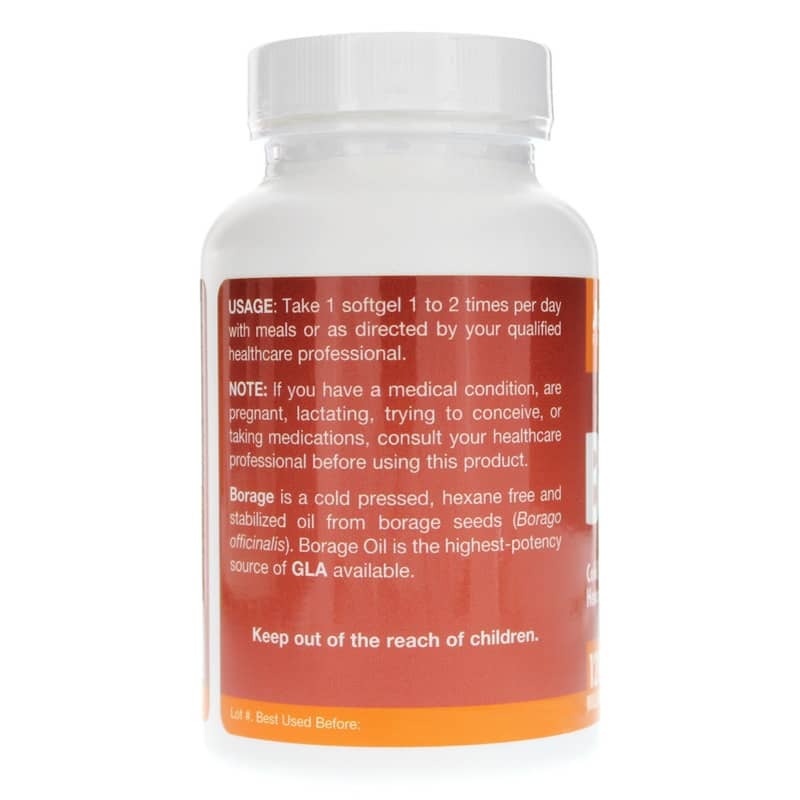 Jarrow Formulas created Borage GLA 240 as a potentially helpful supplement. 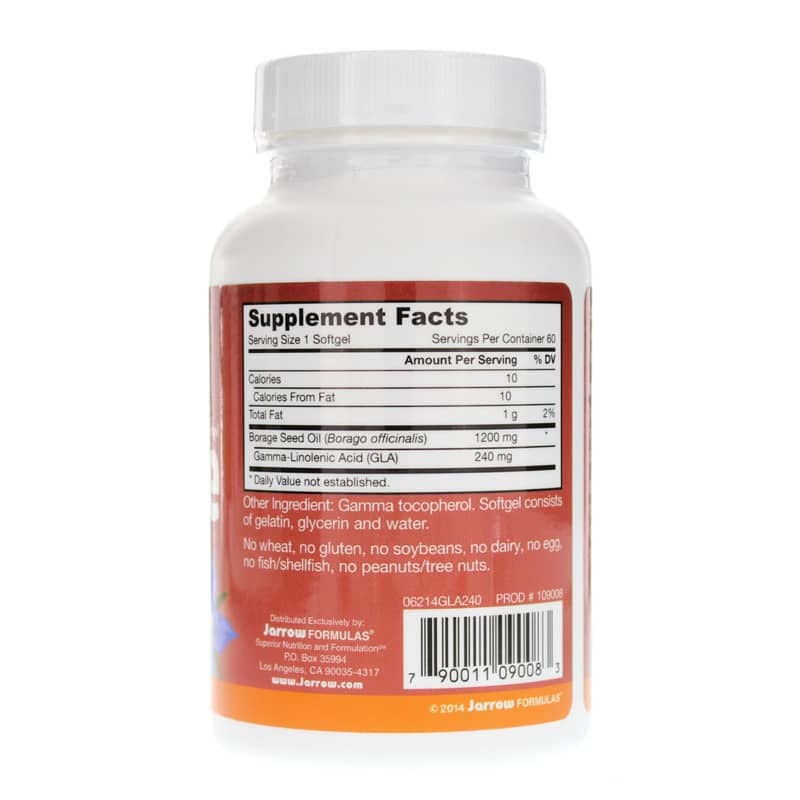 Each softgel contains 240mg of high-potency GLA derived from borage seeds. The oil is cold-pressed and hexane-free. Providing your body with the right nutrition could improve your life more than you can imagine. Find out if supplementation with high-potency borage oil can bring your relief, increased mobility and better health. 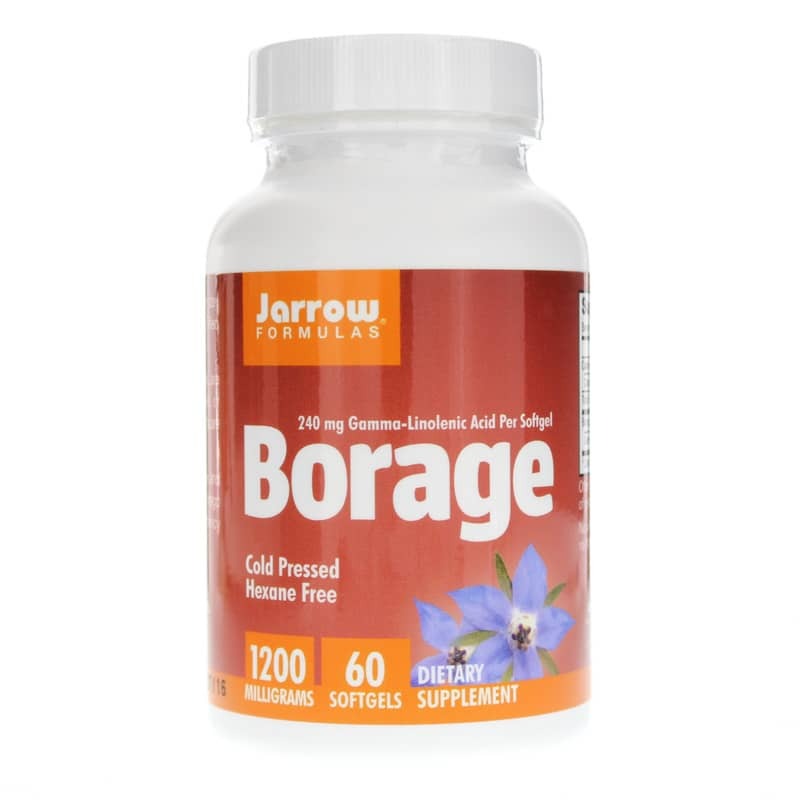 Order Borage GLA 240 from Jarrow Formulas today. Other Ingredients: Gamma tocopherol. Softgel consists of gelatin, glycerin and water. Adults: Take 1 softgel 1 to 2 times per day with meals or as directed by your qualified healthcare consultant. If you have a medical condition, are pregnant, nursing, trying to conceive, or taking medications, please consult your healthcare professional before using this product. Keep out of the reach of children. My family and I have tried this borage oil for several months and some improvements were seen.